The Canadian company that plans to start exploring an area north of Patten for metallic minerals will not need a permit from the state for its early phases of test drilling. PATTEN, Maine — The Canadian company that plans to start exploring an area north of Patten for metallic minerals will not need a permit from the state for its early phases of test drilling. Wolfden Resources Corp. said recently that it will begin a “first phase” of test drilling in December to determine “the grade, nature and extent of the deposit” at the 6,871 acre Pickett Mountain property north of Patten, which the Thunder Bay, Ontario-based company purchased Nov. 16. The state’s new set of metal mining regulations, approved by the Legislature in June after a five year debate, offers “an excellent exploration and development opportunity in a relatively underexplored jurisdiction,” Hoy said in the presentation. The new law addressed large-scale metallic mineral mining activities, including “advanced exploration,” and designated regulatory oversight for those mining activities with the Maine Department of Environmental Protection. The law also outlined roles for the Land Use Planning Commission for mining in the state’s unorganized territories — including the authority to rezone areas for mining — and the LUPC will be finalizing those regulations by July 1, 2018, said commission director Nicholas Livesay. Pickett Mountain is located in the unorganized territories. Advanced exploration differs from general exploration in the size and scope of the work. Under the new mining law, advanced exploration has two tiers and two permit categories, explained David Madore, communications director with the Maine DEP. Tier One advanced exploration would allow the removal of up to 2,000 tons of mine waste, which is defined as “all material removed from the earth during advanced exploration,” including soil, rock and mineral ore, Madore said. Tier Two advanced exploration allows for the removal of up to 10,000 tons of mine waste. 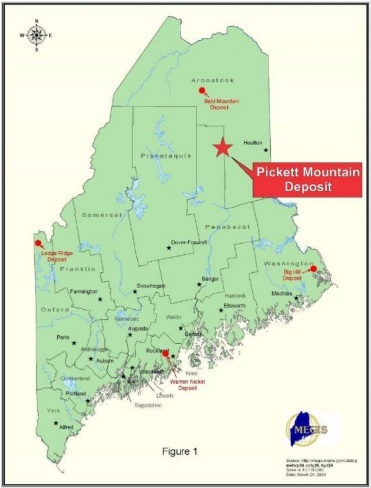 “It is our understanding that no advanced exploration activity is proposed for the site,” Madore said of Wolfden’s plans for exploring the Pickett Mountain deposit. By contrast, general exploration “is very limited in nature and has a very limited environmental impact,” Livesay said. When it comes to general exploration, companies like Wolfden Resources will be following regulations that pre-date the current law, Livesay said. That means the firm does not need a permit, but still needs to follow a range of standards, he said. Those standards include capping drilling holes and not impacting wetlands and waterways, Livesay said. Wolfden Resources has not filed, nor needed to file, anything yet with the LUPC but has consulted with the commission’s regional staff, Livesay said. If Wolfden Resources or another company were doing general exploration in Maine’s organized territories, they would have to submit an exploration workplan with the DEP, according to Madore. The workplan would have to detail the property’s ownership, the location of drill holes, erosion control measures and how the site will be reclaimed or restored following exploration, Madore said. A workplan does not need to be submitted to the DEP or LUPC for any general exploration work in unorganized territories, Madore said. Wolfden did not respond to requests for comment and it is not clear whether they have begun test drilling yet. Wolfden Resources did schedule a public information session to discuss its plans and answer questions from 6 to 8 p.m. Tuesday, Dec. 5, at Katahdin Elementary School in Stacyville. 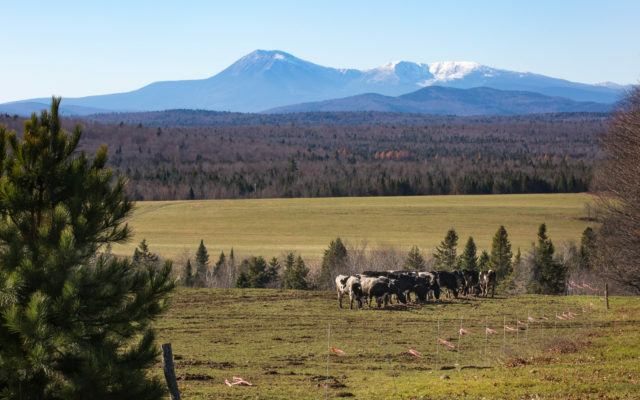 Maine has not had any large-scale metal mines operating since the 1970s, although several companies have explored areas around Bald Mountain and Pickett Mountain in the late 1970s and 1980s. The mining law enacted by the Legislature in June, LD 820, amended a controversial 2012 mining law with a host of provisions sought by environmental advocates, including banning open pit mining and large wastewater impoundments and strictly limiting discharges to groundwater. The law also established requirements for mining companies to post financial assurances covering the cost of a catastrophic mine failure for at least 100 years.